The 5011E Lens is new lens exclusive designed for Sony E mount cameras. Crafted from anodised aluminium, this lens offers both full frame (FE mount) and APS-C (E mount) coverage. Standard walk-a-round lens which opens up many new photography and cinematography creative possibilities. Georgeous bokeh (de-focused backgrounds), giving that distinct visual style, that many other lenses do not offer. 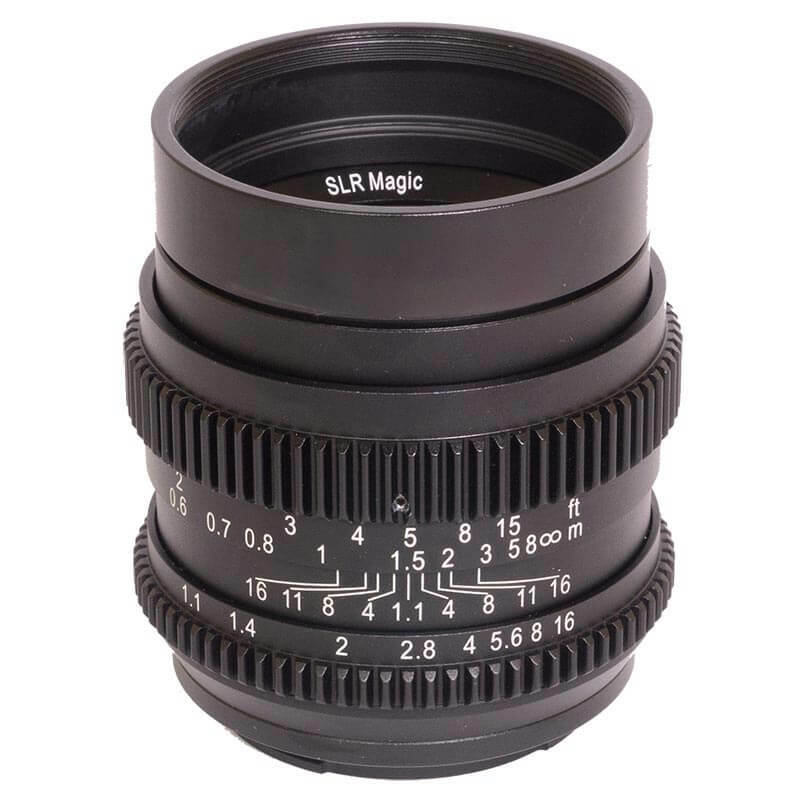 As usual with all our CINE lenses it is integrated with a smooth decoupled greared aperture ring (allows seem-less transitions of exposure) and gearing to the focus ring to allow ease of use for "follow-focus" systems. 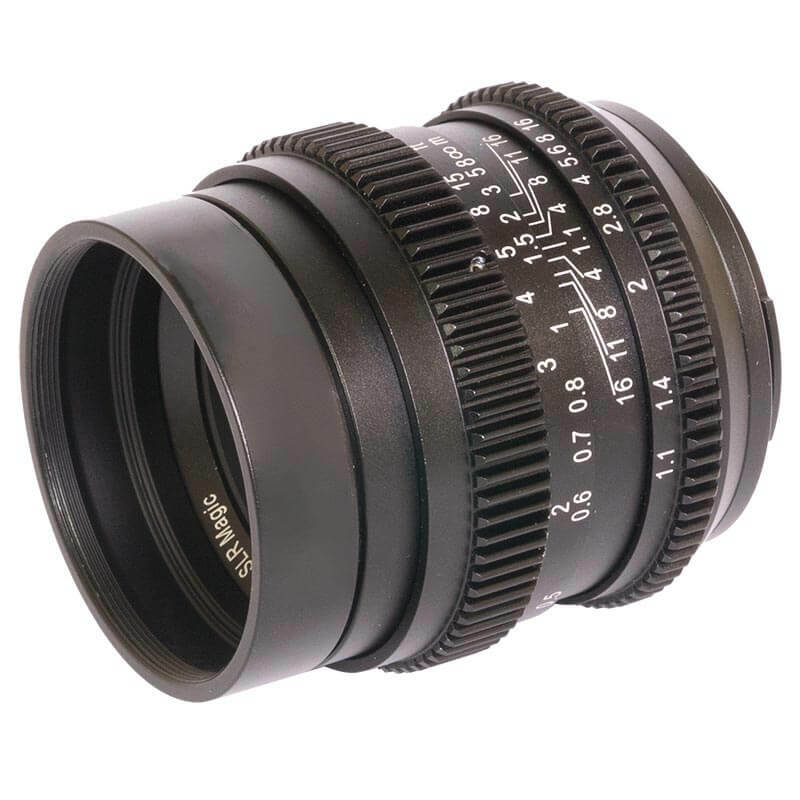 The SLR Magic 50mm Sony FE has an ultra fast aperture of F1.1 making ideally suited to available light photography. Features the updated production optical performance andata a detachable lens hood is included for flare reduction. The lens is dedicated to Sony FE / E mount cameras.